You can't miss these promos! (SPOT.ph) Treat yourself this payday with your favorites that are currently on promo. 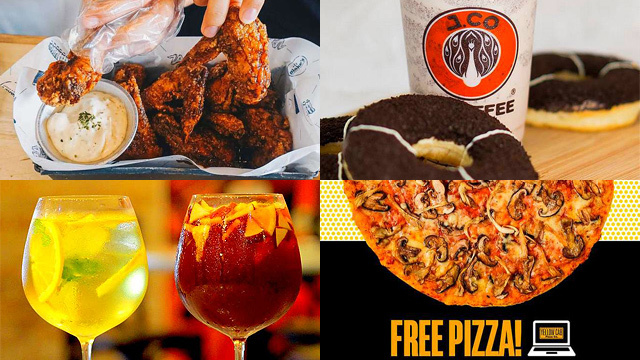 Score unlimited ramen, free pizza and wings, meaty meal sets, and more. Depending on your definition of a good time, you can say hello to the weekend with an extended Happy Hour promo or heavenly dessert deals. Treat yourself and the whole fam this weekend with Krispy Kreme’s latest promo. 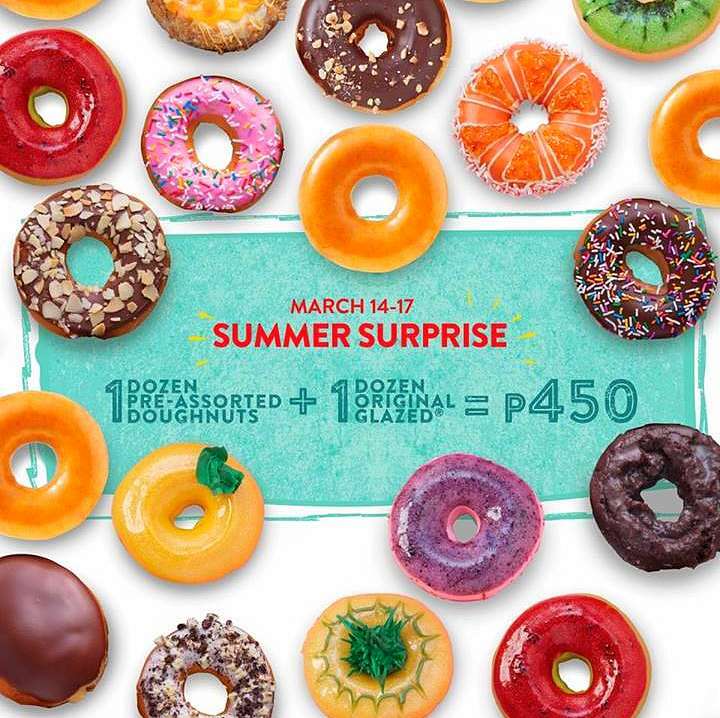 For only P450, get a dozen assorted doughnuts and receive a free dozen of Original Glazed doughnuts. Choices for the assorted doughnuts include New York Cheesecake, Mango Kreme Cake, Strawberry Blueberry, Matcha Pistachio, Cheese Brulee Ring-Filled, and a whole lot more! This offer is available until tomorrow only, so make sure to head over ASAP. New week, new flavor! 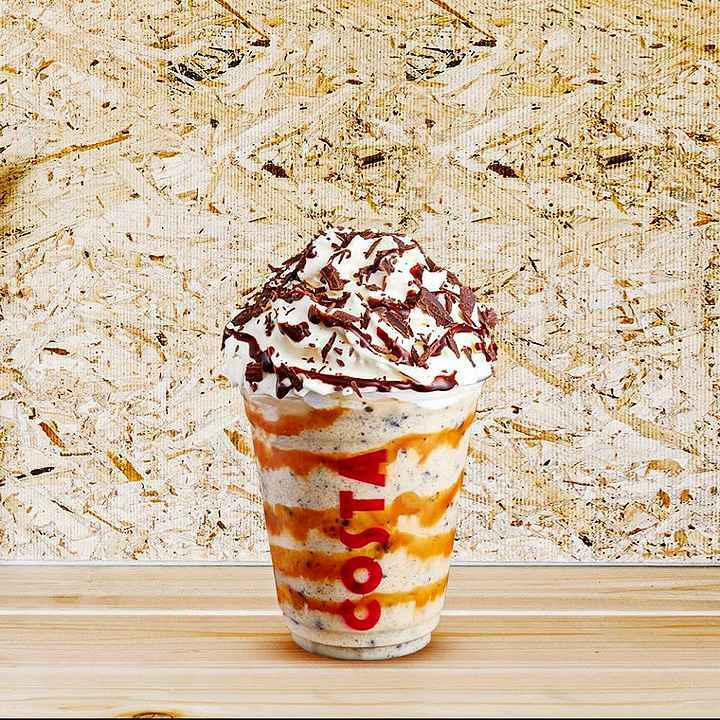 This week, Costa Coffee puts the spotlight on Caramel Crunch Frostino. On March 20, get it in Primo size for just P100. Feel the sugar rush with its generous serving of caramel, cream, and cookies, topped with caramel drizzle and chocolate curls. This one-day-only promo is valid all day for dine-in and takeout. Have a sample of all your Meat Depot favorites in one meal. For just P600, indulge in two meat variants that come with four cups of rice and gravy, and have the heartiest meal with the gang. This offer is available from Monday to Thursday, 11 a.m. to 5 p.m., until March 31 at the Ayala Malls The 30th and The Podium branches only. 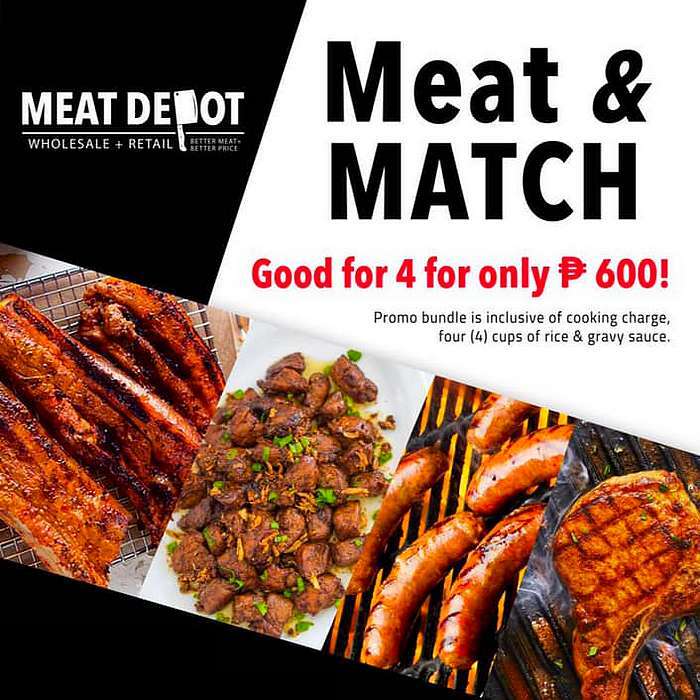 Meat Depot is at 2/F The Corner Market, The Podium, ADB Avenue, Ortigas Center, Mandaluyong City; and 2/F Corte Area, Ayala Malls The 30th, Meralco Avenue, Ugong, Pasig City. For more information, log on to Meat Depot's Facebook page. When it’s wine o’clock, you have to take your time and not rush. 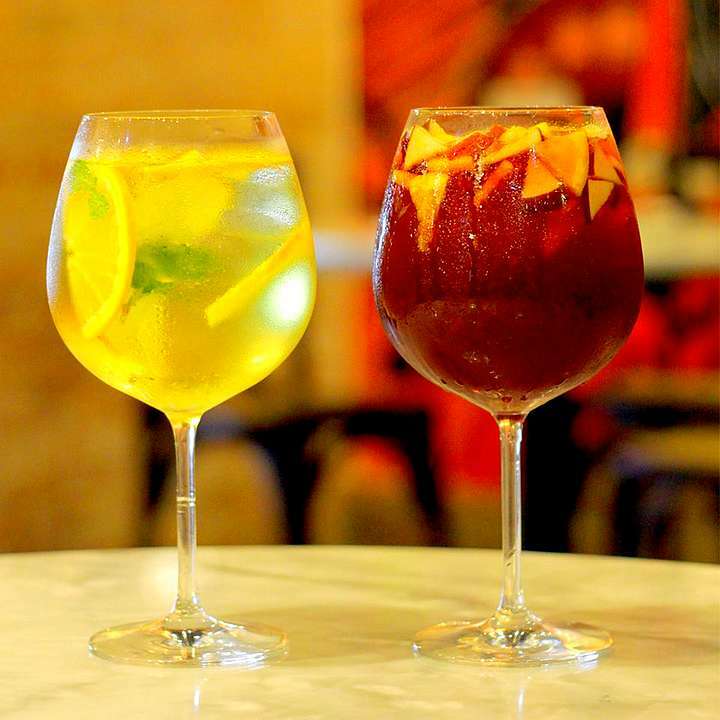 Now, you can swing by for Barcino's Happy Hour from 5 p.m. to 9 p.m. or for Night Cap, which starts at 10 p.m. Score huge discounts on wine, sangria, and cocktails when you drop by at those times. These offers are available daily. See a list of Barcino branches. For more information, log on to Barcino's Facebook page. 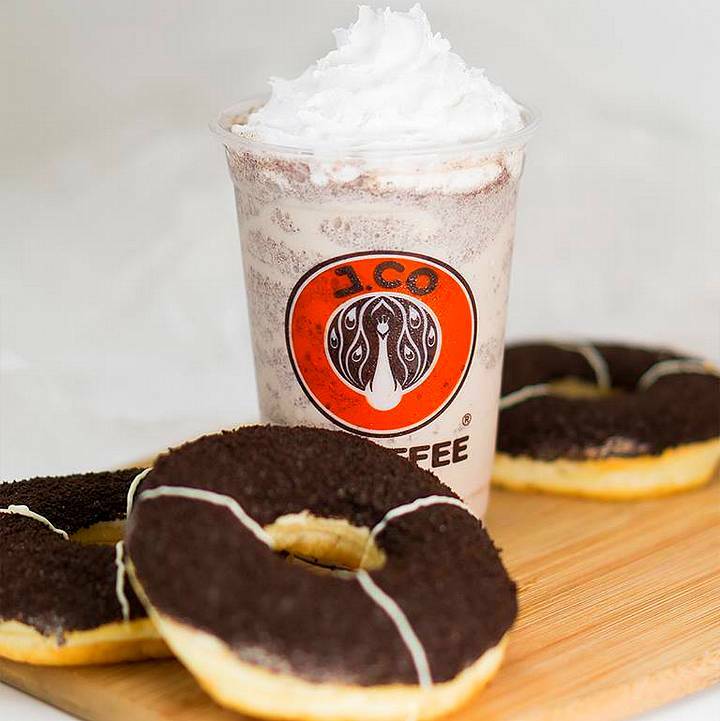 It's J.Co’s anniversary month, and they have a sweet deal! For just P77, get three doughnuts of your choice when you purchase any J.Coffee In Due or Tre size. This promo is valid on all Mondays of March. See a list of J.Co branches. For more information, log on to J.Co's Facebook page. The Lost Bread is celebrating women all month long. 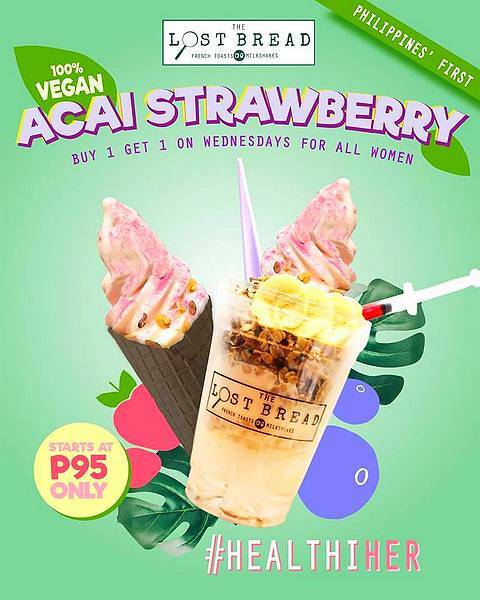 Check out the new vegan soft-serve ice cream: Acai Strawberry. It’s made with acai berries, strawberries, coconut, and soy milk. 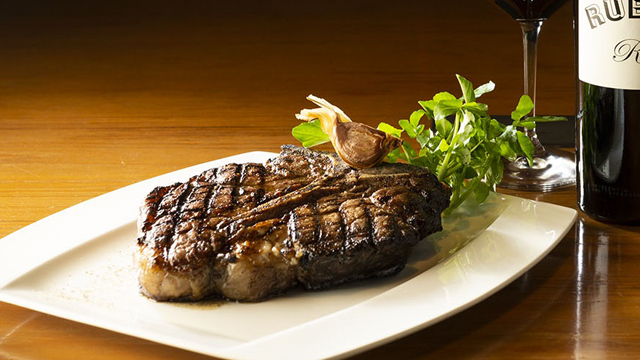 Plus, all the ladies get to have two of this for the price of one on all Wednesdays of March. Price starts at P95. See a list of The Lost Bread branches. For more information, log on to The Lost Bread's Facebook page. 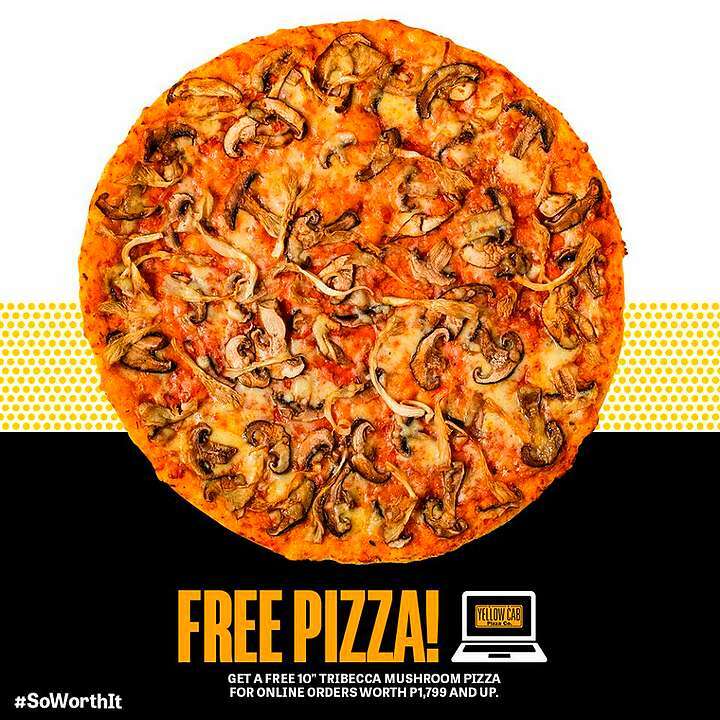 Want to know how you can score free pizza from Yellow Cab? It’s simple! Order at least P1,799 worth of food from their site or app and get a free 10-inch Tribeca Mushroom Pizza. Hurry, this offer is available until March 31 only. To order online, head over to the Yellow Cab official website. For more information, log on to Yellow Cab's Facebook page. Think you’re up for Yummy Tokyo’s challenge? For just P399, enjoy unlimited ramen, which comes with unlimited noodles, unlimited chashu, and unlimited garnish. 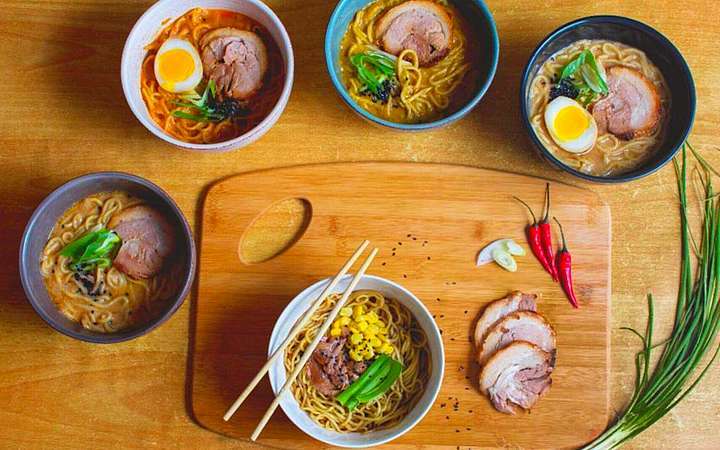 Take your pick from the following ramen flavors: Miso, Spicy Miso, Tantanmen, Curry, and Cold Ramen. Come hungry! Yummy Tokyo is at 103 Maginhawa Street, Teachers Village East, Diliman, Quezon City. For more information, log on to Yummy Tokyo's Facebook page. This coming Hump Day, head over to any branch of Brothers Burger and get two hotdogs for the price of one! 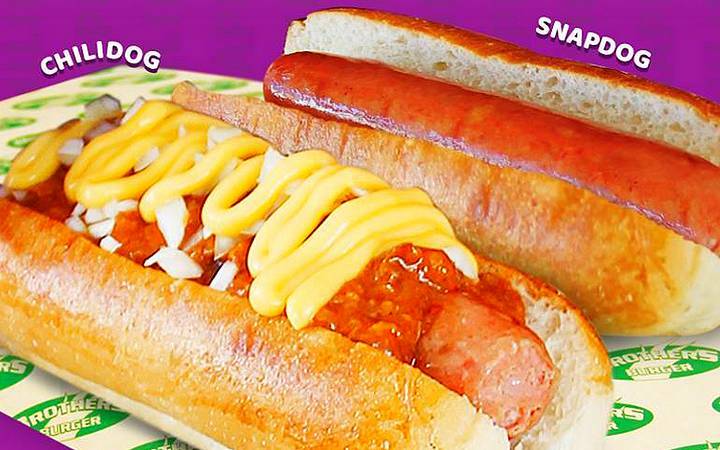 Just order a Chilidog and receive a free Snap Dog—it's up to you whether you want to share with a friend or keep them both to yourself! This promo is available on Wednesdays until May 29 for dine-in and takeout. Suddenly craving wings? Get some from Blake’s Wings and Steaks. 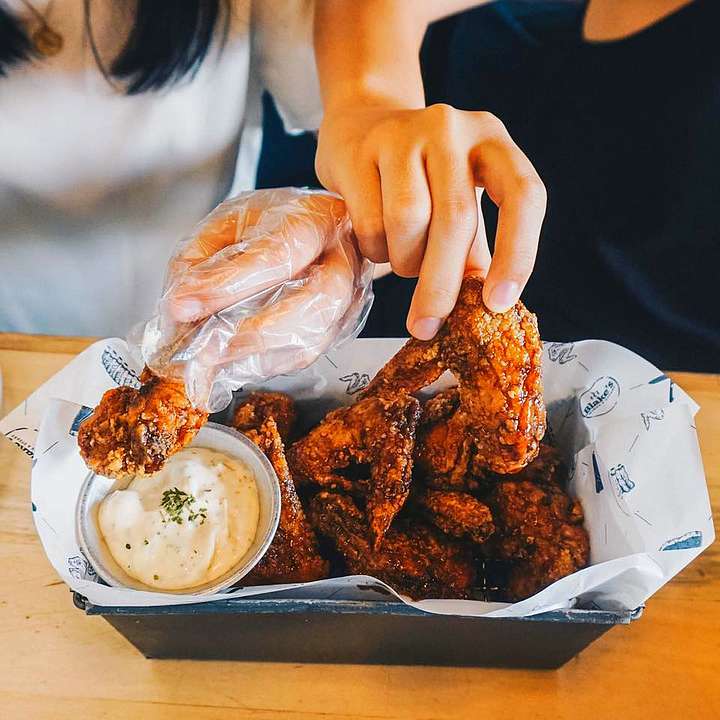 Order at least P1,000 worth of food and you can get a half-kilo of wings for free. 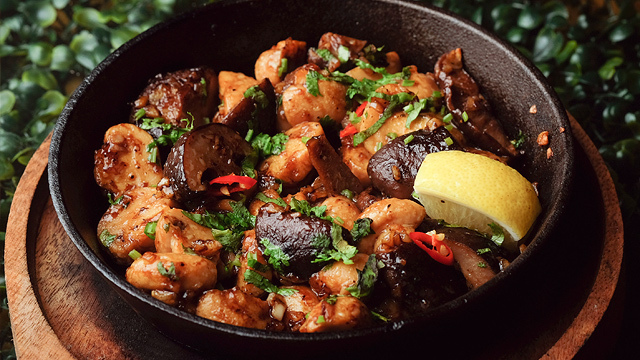 With this promo, you get to sate your cravings and enjoy other dishes! See a list of participating Blake's Wings and Steaks branches. For more information, log on to Blake's Wings and Steaks' Facebook page.